Environment Victoria’s Healthy Rivers Campaign congratulates Chris and the S2S team for taking on this great challenge. 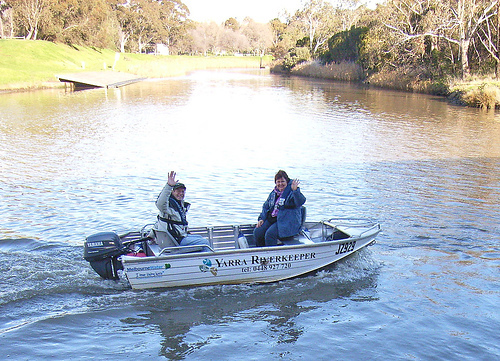 “Community concern for the Yarra’s health continues to grow . 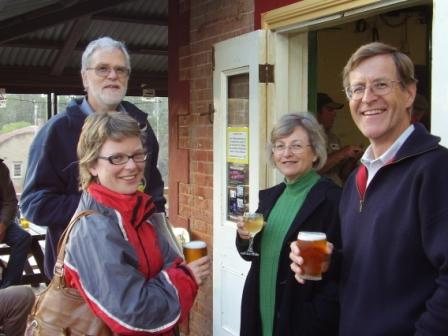 It’s great to see another passionate expression of that concern,” said Environment Victoria’s Leonie Duncan. Ms Duncan was also delighted by the S2S team’s offer to use the challenge as an opportunity to raise awareness of the Go Yarra Flow campaign, a joint initiative of Environment Victoria and the Yarra Riverkeeper Association. Go Yarra Flow aims to send a strong message to the Victorian Government that the people of Melbourne value a healthy Yarra River and that means we need Premier Brumby to deliver the river’s promised environmental flows. Australia’s top female freediver and marine biologist Sacha Dench, will join the S2S team to tackle the upper reaches of the Yarra River. A leading member of Coastcare group Ecodivers, Sacha’s passion for all things above and below water is beyond argument. Sacha currently holds the Australian record for depth and competed at the World Championships in Ibiza 2001 and Hawaii 2002. Impressively she can hold her breath for 6 minutes and 22 seconds. Sacha trained in the UK and in France with Loic Leferme (deepest man in the world) and his team. Check out her freediving in the video here. Despite her competitive bent, Sacha is particularly interested in freediving for leisure, be it shallow, deep, scenic, wrecks, and wildlife. Sacha has also developed an ongoing interest in rivercare after a stint working on both coast and river sites with turtle projects in Surinam, South America and the Kimberley. The chief executive of Landcare Australia, Brian Scarsbrick has wholeheartedly thrown his support behind the Landcare Week effort of paddling the Yarra River from source to sea. He says that while the paddle will highlight some issues along the river, it’s much more of a celebration paddle than one of protest . To recognise these heroes and the good work they do along the banks of the Yarra, Chris and the S2S team are inviting representatives from any environmental group along the Yarra – from landcare groups and ‘Friends Of’ groups to the likes of the Water Keeper groups – to come and say hello as they paddle downstream. We’d love to see anyone en route or come and have a cuppa with us at the day’s end camp. See the Itinerary for details and be sure to contact us on 04303 76621 to let us know you’re coming. We’d love to see you and hear about the work you;re doing to help improve the health of the Yarra!